WFMC Jams is with Jason Adams. Chick-n-Dix was amazing! Chick-n-Dix was amazing! WFMC Jams shared a post. Lisa T added a new photo to WFMC Jams's timeline. WFMC Jams streams select shows and broadcasts live on Facebook. Does not require any special software. May not work on all computers or devices. Works with almost any computer or device. WFMC Jams hosts over 150+ live shows a year and also works with venues and bands to bring live music entertainment to the world through internet. Most events will be broadcast live through our regular station as they happen. Some events such as the Songwriters Round at the Commodore Grille will also be videoed as well as broadcasted live, and later uploaded to our youtube channel. Listed below is the next scheduled events coming up on our station. If you would like to see us do a live event of your favorite performer or venue, let us know! Taylor Dukes Live "In the House"
Taylor Dukes” I have always known about my passion for music. If you aren't putting your soul into something... it's not worth doing. Ohio Native. Singer-Songwriter. Lover of wine. Free Spirit. Believer in Fate. Soul Singer. Contagious Smiler. Night Owl. Lover of All Things Genuine. Blues Enthusiast. Coffee Addicted. Full of Harmony. Taylor Dukes is a soul singer-songwriter from Hudson, Ohio. She is known for her Jazz chords, bluesy vocals, thoughtful lyrics and incredibly catchy melodies. All have earned her recognition with some of the top writers, producers and record labels in the business. Recently Taylor beat out thousands of other applicants for the ‘2016: Project Aloft Star’ competition. That lead to her playing, “Live In The Vineyard” in Napa Valley, where she opened for Phillip Phillips, JOHNNYSWIM, Blue October and Mike Posner just to name a few. The songstress toured Europe in May 2015, playing eight different European countries and is set to join Aloft for their 2017 ‘Live at Aloft Tour’ early next year. Taylor is currently finishing up her new EP titled, “Rose” which was released Summer 2017. TBA Live "In the House"
Gina Jones’ life has been anything but easy, but one thing remains constant, her love for writing, singing and performing music. Gina began her musical career at the tender age of 9 singing and playing bass in her family’s band, the Ozark Rhythm Aires. She was a natural and from the age of 9 to 15 she performed in the band. The band performed at fairs and festivals and toured the Ozarks in Missouri, including Branson. By the age of 9 Gina had already cut her first record with the Ozark Rhythm Aires. As a mere child Gina and the Ozark Rhythm Aires won numerous talent shows that led to opening for such acts as, Justin Tubb and Grammy Award winning Dottie West. At age 14, Gina and her brother, Stan Barnhart decided to venture out and began their own duo. It wasn’t long before they were signed to a recording contract with Universal Records in Nashville. Universal released a record which gained them exposure in the west where Gina lived at the time. Eventually, the duo with her brother ended and she decided to take a different direction and began singing and performing in a rock band. Before her rock journey was over Gina had performed with several bands touring the west in Idaho, Colorado, Utah, Nevada, Washington, and California. By her early 20’s, Gina’s country soul was beckoning her to return to her roots. Gina made the big move to Nashville in which time she performed regularly at some of Nashville’s most historical venues such as Gilley’s on Music Row, Lonnie's Western Room, and Barbara’s and Skull’s in Printer’s Alley. While in Nashville Gina joined a band called the “Nashville Country Music Review” and opened for over thirty-six Grand Ole Opry stars including\; Bobby Bare, Jeanie Sealy, Porter Wagoner, Connie Smith, Bill Anderson, Little Jimmy Dickens, and Faron Young. During this time Gina was honing her songwriting skills and eventually signed a publishing deal with the Paul Richie Music Group. Gina co-wrote with many established Nashville hit songwriters and artists including Vern Gosdin, and, was mentored by the “Grandfather of Country Music” the legendary, Harlan Howard. Gina had success in getting songs published by the Ritchey Music Group and Rowen Music. In 2010 with a focus on writing gospel music she secured two Southern Gospel cuts recorded by Peach State Quartet that charted on the Southern Gospel charts. From 1990 to 1995 Gina continued to perform in and around Nashville and was a regular in well-known venues such as “Live at Libby’s” located in Kentucky which was credited for giving Tim McGraw, Tracey Lawrence, and Jo Dee Messina their career start. Over the past decade Gina has continued performing at fairs and festivals as well as intimate acoustic coffee houses and listening rooms. In 2015 Gina was invited to perform at the Bakersfield Music Awards after headlining along with the Bakersfield Sound band in a festival in Las Vegas. In 2015, Gina won a “battle of the bands” contest promoted through fan voting on Facebook. As the winner of the contest, Gina opened the Mountain Home Country Music Festival star-studded lineup that included, Blake Shelton, Brad Paisley and Florida Georgia Line. Gina’s career has ramped up to a whole new level when in 2017 she was signed to artist management by Nashville music veteran Brenda Cline with Workhorse 615. To add to the increasing momentum, in late 2017 Gina signed a publishing deal by Nashville music executive and publisher, Justin Peters and Songs for the Planet. Gina continues to perform acoustically and with her band but spends most of her time writing songs as well as her memoirs. Gina Jones will be releasing her candid, riveting book about her troubled past and personal triumphs in her forthcoming book which she is co-writing with her manager, Brenda Cline. The book will be released in 2018 along with a new Cd of her original music. Nicholas Edward Williams Live "In the House"
"If Doc Watson, Paul Simon and John Prine had a lineage, you would find it in the bloodstream of Nicholas Edward Williams. A storyteller at heart, Williams blends American folk songwriting with country blues fingerpicking, whistling and a stomp box. The 34 year-old has made waves performing over 1000 shows with eight studio albums under the moniker Whetherman since 2007, and has opened for critically acclaimed acts Taj Mahal, The Wood Brothers and Billy Strings." Marlow Music Inc. is a progressive rock band, deeply rooted in blues, jazz, and swing, headed up by it's founder, Nick Marlow. a self taught musician Nick brings his talent and passion to his music. Jazz, Boogie, singer song writer Nick is a standard in and around the area and played the "House" multiple times. Marlow Music Inc can be found in a number of the venues in Cumberland County. Awesome evening of fun, songs & the stories behind them with special guests along the way! Melissa Ellis Live In the House"
The longest running show on WFMC Jams. The Midnight Madness Show features a special musical guest or songwriter each Tuesday along with live music performances and interviews. 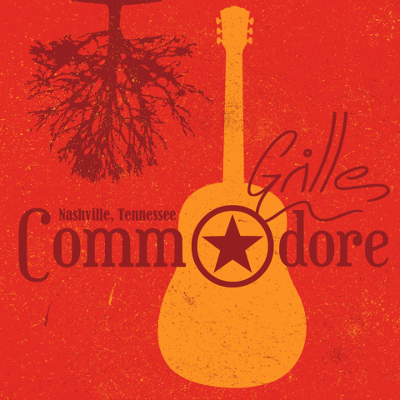 Located in the lobby of the Nashville hotel, the Commodore Grille lounge hosts live entertainment 7 days a week. WFMC Jams does a live broadcast at the Songwriters Round hosted by Debi Champion on West End every Sunday at 7pm CST. Miss the live broadcast? Most Sunday shows are recorded as well and archived to our WFMC Jams Youtube Page. It's all about the music. 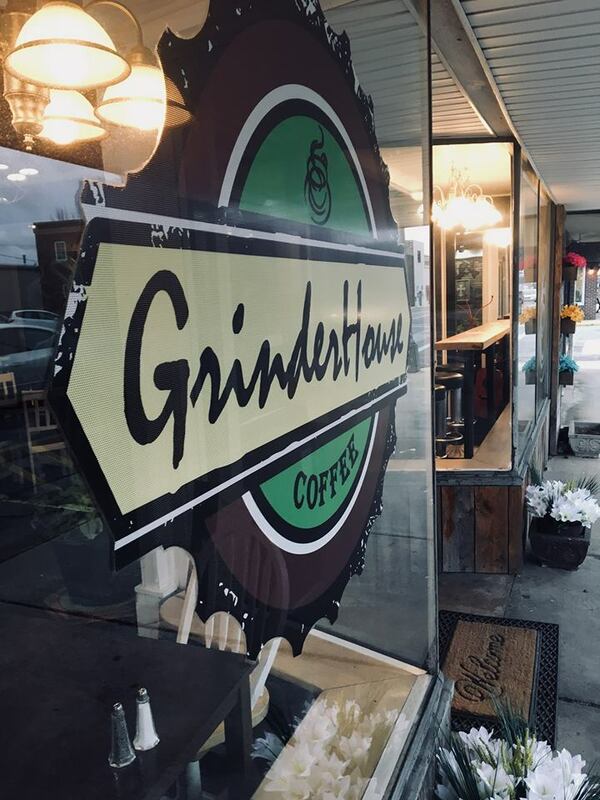 Grinder House Coffee Shop, Inc. is an intimate live music venue focused showcasing and promoting the artist, singer songwriters. WFMC Jams broadcasts "In The House" live from the GrinderHouse every Friday from 6-8pm every week. The Tennessee Songwriters Association International (TSAI) is a non-profit organization operated by its own elected directors who are committed to the education, development, and recognition of its members in the advancement and enjoyment of the craft of songwriting. The Shoals Area Music is a group of individuals, artists, and companies dedicated to continuing the musical heritage of the Shoals by promoting and supporting local artists of all kinds through live events and Showcases. WFMC Jams parterned up with Shoals area music in 2015 to help promote and broadcast these special events throughout the year live on the internet. The Palace Theater opened in November of 1938 and played an important part in the lives of many people and the community. The Palace is fully restored now and is a multi-use community auditorium and visitors' center. WFMC Jams broadcasts select shows from this beautiful venue in Crossville, TN. Visit the entertainment stage by Aquarium and Claim Jumper to experience Opry Unplugged! Located in the heart of Nashville's Hillsboro Village, a down-to-earth experience for food, drink and music lovers alike. A diverse menu, wide selection of local brews and firm commitment to booking some of the best songwriters in Music City ensure a great time. Crystelle Creek Restaurant and Grill is one of the most unique Smoky Mountain and Gatlinburg restaurants offering something for everyone including Live Music. WFMC Jams broadcasts the songwriters round the second Monday each month. The George Jones is located in the heart of Downtown Nashville just steps off Broadway on Second Avenue. The four-story complex offers live music, a Smokehouse BBQ restaurant, museum, rooftop, coffee shop, and gift shop honoring country music icon George Jones. Nashville Happens Here! WFMC Jams broadcasts the Titans Post Game Party with Adam Warner after the home Titan's games. WFMC Jams is an affiliate of live365.com. ASCAP, BMI, SESAC, and SoundExchange royalties and performance fees are reported and paid through this service for songs played on this station. Nashville Night Click Soundcloud icon to view all Nashville Night archives. Events broadcasted by WFMC Jams may not be listed in the archives right away due to the amount of time involved. Please be patient while we add new archives. Not all live events broadcasted by WFMC Jams will necessarily be archived. We Are Social... Follow us! WFMC Jams is in support of Radio Diversity as well as a supporter of the Future of Music Coalition. If you like our station, we ask you to join their coalition so stations like this one can stay on the air! © 2013 Theme by GraphBerry, © 2019 - WFMC Jams. All rights reserved.